When environmental and/or social activists take on a new cause, they are often perceived as being outliers. Such was the case with the Occupy Wall Street protesters, a series of fringe groups whose actions often seemed to lack definition and purpose. Perhaps the Occupy group will become a viable movement, but early indications suggest they will lose momentum because they do not have a clear focus and solid leadership. Over the past fifty years, British Columbia has attracted large numbers of activists to various causes, with many focussed on preserving the environment and endangered species. If history tells us anything, it is that strong action is sometimes needed in order to force change. As an example, beginning in the late 1800’s and extending through much of the last century, the BC forest industry seemed intent on cutting every old growth tree and clear-cutting every mountainside they could access. Little concern was given to what might be left for future generations. There is no doubt industry, operating without restraint, would have succeeded had it not been for the thousands of activists, old and young, who began carrying signs, chanting slogans, singing songs and chaining themselves to trees and logging equipment. 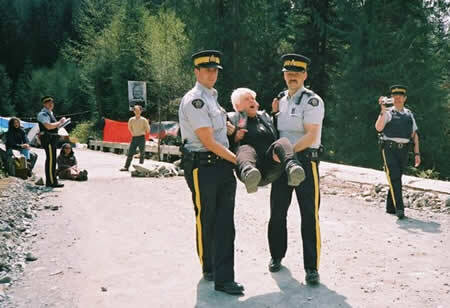 In one instant, after injunctions were obtained, dozens of protesters ended up in jail after the largest mass arrests in the history of the British Columbia. The Government, media (with a few exceptions), courts, police, and others holding the reins of power were quick to rise against environmental groups. The groups were painted as idealists trying to destroy livelihoods and the ‘way of life’ of a majority of the citizenry. These groups threaten to hijack our regulatory system to achieve their radical ideological agenda. They seek to exploit any loophole they can find, stacking public hearings with bodies to ensure that delays kill good projects. They use funding from foreign special interest groups to undermine Canada’s national economic interest. (Link here to comments of Joe Oliver). Years earlier, one of our longest sitting Premiers, WAC (Wacky) Bennett, when asked about the smoke and smog being created by the thousands of “beehive burners” which were used to dispose of unwanted sawdust, and which dotted many BC communities, stated in all sincerity: “That my friend, is the smell of money, the smell of money…” He was right of course, but that he chose to ignore every issue except money was partially responsible for his downfall. In those years it was left to the environmental groups to bring issues into sharp focus and Greenpeace would become a leader in the field. The following story tracks one stream of protest in this inexorable process, a story that began in Victoria in the early 1960’s and slowly spread around the world. It is a story that continues to unfold to the present day and while it includes tragic events, two of those who died, one by misadventure and another by criminal action, did not die in vain. Their deaths acted as a catalyst in making the world a better place. The present account was written while touring Australia in 2009 and was first posted on Facebook under the title “A Clash of Interests – Big Business and Government vs the Environment”. Having since re-worked the story and updated some of the material, it was reposted in 2012 under the present title. 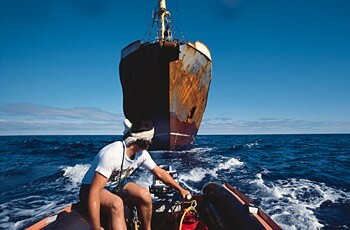 This story is dedicated to a Dutch photojournalist of Portuguese descent, Fernando Pereira (pictured at right) who died after a bomb blast sank the Greenpeace ship, the Rainbow Warrior; and to a young woman from Victoria, Keltie Byrne (pictured in Chapter 7), who died in the whale pool at Sealand of the Pacific. The two events were the tipping points that helped to change public attitudes towards the capture and display of Orcas and the killing of whales mainly by Japanese whalers. To this day, Greenpeace remains at the forefront of these protests. Note: For those who may read this story and have some connection to the early years of Sealand of the Pacific, you may wish to link to a Facebook Page, Friends of Sealand. Three killer whales, Tilikum (pictured below), along with his partners, Nootka II and Haida II, continued to playfully push the young woman around the display pool as she screamed for help. Just moments earlier a capacity crowd had left Sealand of the Pacific, a popular tourist destination in Victoria, British Columbia. Just minutes earlier, as the clean-up was in progress, the young woman, a student worker from the University of Victoria, had accidentally slipped and fallen into the whale pool. The young woman, along with many others often worked around the whales and had never experienced any problems, but in this instance, after falling into the pool and before anyone could come to her aid, the whales started to play. As the whales continued to push the young woman around the pool, frantic staff threw life rings toward her but the whales managed to keep her just out of reach. Occasionally one of the whales would push her under water for several seconds. Soon, there were no more screams. When the whales tired of playing, the young woman’s lifeless body was pulled from the pool. 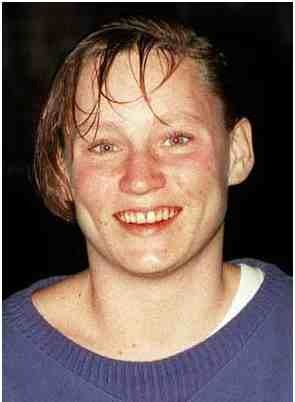 The reverberations of her tragic death would be felt around the world over the coming months and years. A change was in that southwestern, a wind that often brought stormy conditions to Victoria. A mere 12,500 kilometers away, memories of events back in the 1980’s and 90’s in my life as a Police Detective in Oak Bay, flashed back on seeing a large black ship, the “MV Steve Irwin”, moored in Sydney Harbour. 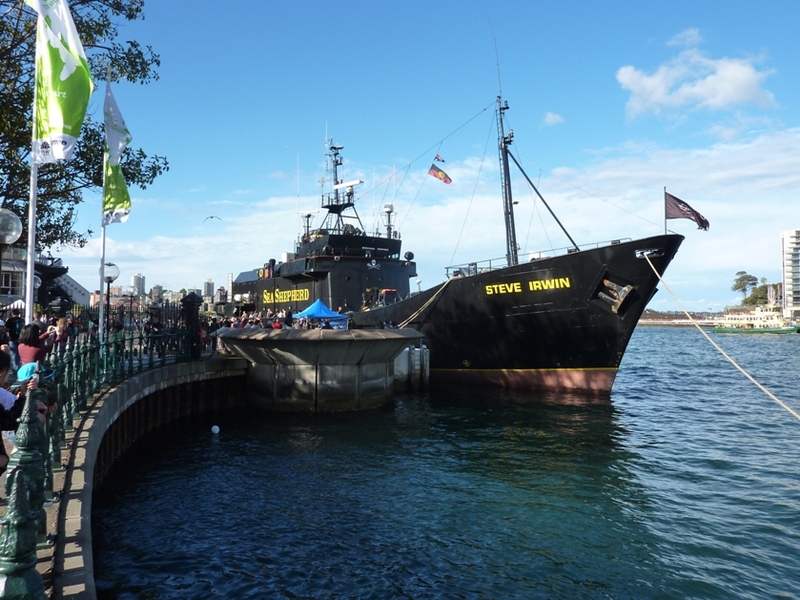 The ship’s current owners, the Sea Shepherd Society, traced their roots back to Canada in the 1960s and a fledgeling organization called “Greenpeace”. As usual, the ship was proudly flying the “Jolly Roger” a pirate symbol that came to be associated with many of the Sea Shepherd activities that lead to change. The death of the young woman in Victoria in the early 1990s was the final event in a series of events that forced the Canadian Government to change direction and, as well, lead to the closure of a popular marine facility, Sealand of the Pacific. These changes, while seemingly drastic at the time, very likely changed the course of history and saved the Orca (killer whale) from extinction and it was the original Greenpeace organization that was at the epicenter of helping to bring about the change. In Sydney Lynn and I learned from two Aussie crew members, Andrew and Christine, that the ship, now named the MV Steve Irwin (photo right, is posted on FB Save the Whales), was on a promotional tour of Australia and Tasmania as a prelude to sailing to the Antarctic waters for the sole purpose of challenging Japanese Whaling ships. In recent years this had become a yearly trek as the Japanese whalers continued to flaunt several international agreements banning the practice. The challenge in Antarctica, which could easily turn deadly, was drawing public attention to a practice that had long since lost favour in almost all countries of the world. Perhaps the reason the Japanese have continued to allow their fleets to hunt whales was the fact that whale meat continues to be a highly sought after delicacy in Japan and, as is often the case, economic interests easily outweighed environmental interests. This article will explore how tragic events, when combined with a clash of values between government and big business on the one hand and environmentalists on the other, can and does lead to significant change in the world. Born in Ontario in 1950, Paul began his career with the Canadian Coast Guard. This was followed by a stint on ocean-going cargo ships and soon after, sailing his own ships which he often placed in harms way by entering into high-profile confrontations with various whalers, war ships and government agencies around the world. In those early years almost every nation on earth allowed the hunting whales with little regard for the long-term chances of survival of the species. During those years ‘killer whales’ were still considered a pest that endangered ‘more valuable’ species of fish (e.g. salmon) and as they had no economic value were often shot by passing fishermen. The only discernible economic value was as display animals in theme parks such as Sealand of the Pacific. The high-profile confrontations with those capturing or killing whales was designed to draw as much public attention as possible to endangered species. Paul and his crews of volunteers were ready, willing and able to face physical injury and death in order to save the whales and they did not limit themselves to whale fleets. This was demonstrated by their challenging the United States over a nuclear test planned for Amchitka Island a small, tectonically unstable, uninhabited piece of rock in the Aleutian chain. With their ship well within the restricted (danger) zone, they dared the US Navy to set off the blast while they were present or, conversely to try and force them out of the danger zone. Surprisingly, or perhaps not considering the strong public outcry against the test, the United States backed down and the blast was called off. However, the reprieve was short-lived as the test was secretly rescheduled and a few weeks later a five megaton nuclear device was set off when no protest ships were in the area. With all the pre-blast publicity generated by Paul and Greenpeace, it was a blast heard around the world and would be the last test undertaken by the United States. In a 1985 incident, Paul and crew were not so lucky when their ship, then named the Rainbow Warrior, was anchored in Auckland harbour. They were in New Zealand preparing to lead a flotilla of smaller boats to block a planned French nuclear test set for the French Polynesian atoll of Moruroa. While anchored in the harbour, six French intelligence and military agents surreptitiously entered New Zealand for the express purpose of sinking the Rainbow Warrior. They attached two Limpit mines to the ship and after the first explosion, several Greenpeace members ran back to find our what had happened. One of the cameramen, a news reporter, Fernando Pereira, ran below deck to save his camera equipment just when the second mine exploded. He was trapped below deck and drowned in his cabin. Initially, the French government vehemently joined the rest of the world in condemning this ‘terrorist act’ that sank the ship and killed the photo-journalist. However, it did not take long for the entire conspiracy to unravel when two of the French secret service agents, again using false passports, were arrested while trying to sneak out of New Zealand. Under considerable pressure from the International community, France was forced to apologize and pay considerable reparations to New Zealand and to Greenpeace. Four of the six French agents involved in the attack were never brought to justice as they had been able to escape back to France. The two that had been arrested were eventually convicted of manslaughter and sentenced to a lengthy period in jail. As it turned out, this was all to no avail as following the conviction and when under considerable pressure from France and several other countries, New Zealand agreed to let the two agent killers serve their time in a French protectorate. After men had served just one year of “open arrest” in the protectorate, the two returned to France as national heroes. They were promptly promoted to senior military ranks and continued in service until they retired. In retrospect, it seems clear that a ‘terrorist act’ depending on who creates the definition and for what purpose! As the case had gained such notoriety, dozens of civilian craft from New Zealand continued the protest on their own and succeeded in halting the French test. The confrontation also coalesced public opinion in New Zealand and it was not many months later the New Zealand parliament declared their country a “nuclear free zone”. 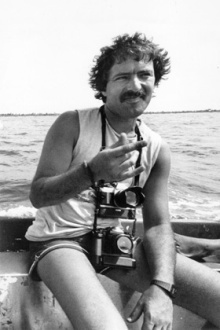 Throughout the 1980s, Paul and his small band of environmentalists continued to harass whalers and others who threatened to hunt species to the brink of extinction. Their tactics were highly controversial and designed to create as much press coverage as possible. Paul’s ship and his crew often placed themselves in grave danger and defied superpower governments to take action against them. As a result of their confrontational practices, this small band of self-proclaimed “pirates” (as they preferred to be called) became “persona non grata” in many nations around the world and, on more than one occasion, Paul and his crews were jailed and/or had their ships and passports seized (Paul held a Canadian passport). Even the Canadian Government was not above acting outside the law when, at one point, they arrested Paul and his crew and seized their ship on the flimsiest of grounds. It was only after the Supreme Court of Canada intervened and deemed the arrests and seizures unlawful, that the ship and crews were freed. Unfortunately, those in charge of securing the ship while it was under seizure were less than diligent (almost certainly deliberately so) in caring for the ship for when it was finally released it was deemed unseaworthy and prohibited from sailing. This was likely just another backdoor tactic. For many environmental groups, provoking governments into taking precipitous, illegal action as had Canada and France, is exactly the outcome desired. It brought about International notoriety as well as an endless list of supporters with deep pockets. An example, the current expedition to Australia and to the Antarctic waters, where a popular game show host, Bob Barker donating over a million dollars in support of the protest. Various governments continue to use questionable tactics as demonstrated in Australia in 2009 when Paul was not been able to join his crew for the promotional tour. He has been prohibited from entering the country on the grounds of being a “security risk,” even though Australia is a signatory to the International Whaling Agreement. It would appear Australia does not wish to upset Japan, an important Pacific Rim trading partner, by enforcing that agreement. Now, back to Victoria in the 1980’s. My first contact with Paul Watson came in the late 1980’s following the death of “Miracle”, a killer whale that drowned at Sealand after becoming entangled in the twin row containment nets. The death was particularly significant as Miracle’s death was followed by the death of another highly popular entertainer, Shadow, Both Miracle and Shadow died under suspicious circumstance when they were caught between the inner and outer containment nets. Both animals drown after being unable to surface for air. 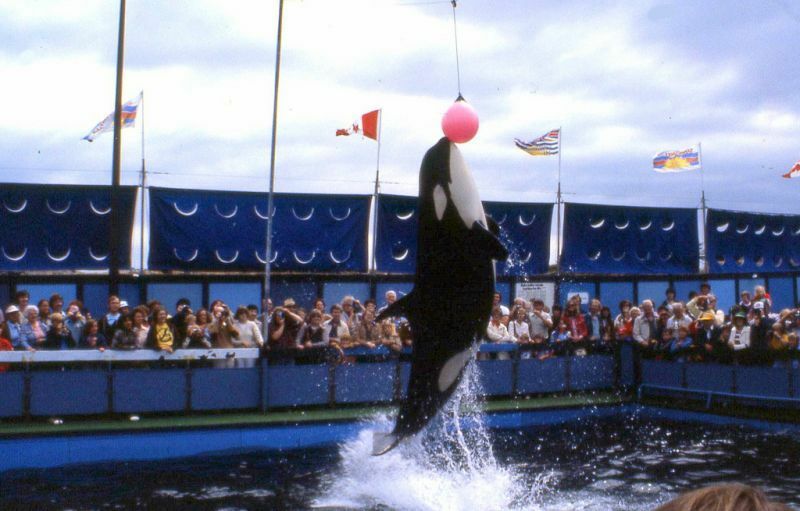 The death of Miracle was a particularly hard hit as the young whale had become a National and International darling after being brought back from near death after having been shot and left for dead on a remote BC coastal beach. Sealand staff and an army of volunteer medical specialists worked for months to nurse the baby back to health. The name “Miracle” was a natural given the number of times she nearly died over those many months. Given all the publicity Greenpeace had received over the previous decade, the outspoken owner of the Marina, Bob Wright along with many of the Sealand staff, were convinced the deaths of both Miracle and Shadow were the result of botched attempts to free Miracle and Shadow from captivity. 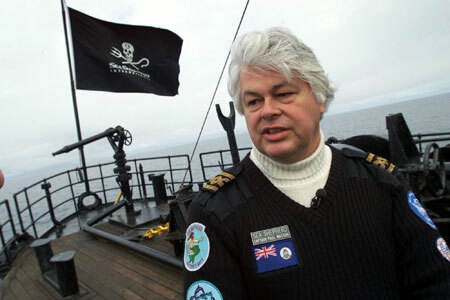 Paul Watson and his small band at Greenpeacers were cast as the most likely villains. Suspicions remained high that Paul and his group were ready, willing and able to undertake such an action without giving it a second thought. That Greenpeace had an office in Victoria and was well known on Vancouver Island, then a hot bed of environmental activism added to the suspense. Even the general public tended to regard the organization as a group of “pot smoking, tree hugging, near-do-well, hippies”. Photo: All staff, not just the whale trainers, became very close to the whales, seals and other performers at Sealand. Here Miracle kisses her trainer. Another reason suspicion fell upon Greenpeace was their relentless effort to stop the Oak Bay Marine Group (owners of Sealand) from continuing to capture killer whales for display and sale. Many of whales were being captured right off the Victoria waterfront after being “herded” into the long narrow channel known as Pedder Bay. Once trapped, a net was strung across the bay to contain the whales and after one or two were then captured and removed to Sealand the remainder were released. That the Federal Department of Fisheries continued to approve permits for the captures of these whales long after scientific and public opinion had turned against the practice, was another sore point. Helping stranded or injured whales (such as Miracle or other sea life) was strongly supported, but capturing healthy whales from rapidly diminishing pods that were known to be highly social and remained together for life, was yet another. In those early years over eighty-two whales where captured in the waters off Washington and BC Coast. Twelve died during the capture and of those taken alive several subsequently died after being placed in captivity at Sealand or other marine display facilities around the world. Local whales that died in captivity included Haida, the original star performer at Sealand, Chimo (the albino whale) and then Miracle, the baby whale that had survived against all odds. 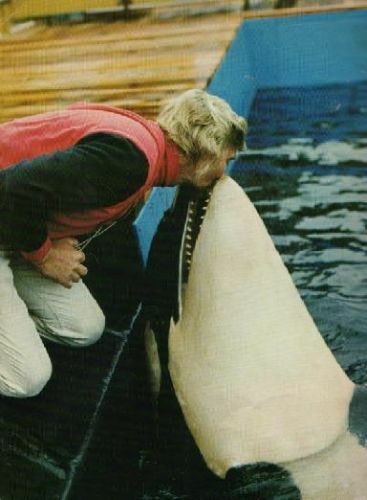 In the 1980s, prompted largely by ongoing Greenpeace activism, public attention was at an all time high and opinion turned solidly against the capture of the Orca. It was into this highly charged backdrop the police were called in to investigate the death of Miracle and her companion, Shadow. I drew the short straw and was assigned to the case. After sending sections of the torn nets to the RCMP Crime Lab in Vancouver, I commenced interviewing a number of persons who might have information about the case. When I learned Paul Watson was on a promotional swing through Victoria, I asked him to drop by the Police Office for a chat. Never one to shy away from controversy or a chance to get his name in the press, Paul seized the opportunity to spend some time talking to police about the death of Miracle and Shadow. At the police office, he flatly denied that he or any of his team had any connection to the deaths. He underscored the fact that Sealand staff had been warned they were being less than diligent in their care of the whales. Over the course of a two-hour interview, I developed the opinion that neither Paul nor Greenpeace had any connection to the deaths. Backing up Paul’s suspicions, it was learned from a Sealand source that staff had been repeatedly warned (following the death of Shadow) that the net containment system was unsafe as it was constructed in a fashion that could allow the whales to become trapped between the two containment sections (inner and outer). The short time later the RCMP Crime Lab report stated there was no evidence the nets had been cut or otherwise tampered with. That pretty much closed the case as far as the police were concerned. This did not sit well with the owner of the Oak Bay Marine Group or many of the Sealand staff, but that was to be expected. Neither did it help that Paul and Greenpeace continued to agitate against the Oak Bay Marine group practice of captuing whales for display. The “tipping point” in this series of events was the 1991 death of a young University of Victoria student, Keltie Byrne (pictured below). As mentioned at the beginning, Keltie was cleaning around the pool after the final public show of the day, when she slipped and fell into the pool with the three whales – Tilikum, Nootka II and Haida II. The whales began to playfully push her around. Despite the best efforts of Sealand Staff, they were not able to rescue the young woman. While the whales did not appear to intentionally hurt Keltie, their playful actions caused her to drown before she could be pulled from the water. Of the four whales still at Sealand, Tilikum and Nootka II were sold to SeaWorld in Orlando, with Haidi II and her baby Kyuquet being shipped to Texas. Not long after the move Nootka II and Haida II died. Many believed the deaths resulted from the stress caused by whales being separated from each other and placed into new facilities. Tillikum and Kyuquet are still performing and Tillikum has since fathered a number of offspring while at SeaWorld. In the years since the closure of Sealand, Victoria has again become a destination city for viewing killer whales but now those whales are viewed in their natural setting – the pristine waters of the Strait of Juan de Fuca. Lynn and I have often hosted visitors on whale-watching tours and have never been disappointed. Watching these magnificent animals in their pods fishing, breaching and playing with their young is much better than watching them perform tricks while in captivity. While this series of events, culminating in the death of Keltie Byrne were tragic, it demonstrates how a clash of values between environmentalists and big business/government can, and does, lead to significant change in our world. Lynn and I shall certainly be watching the news reports from Antarctica over the next few months as the Sea Shepherd pursues the Japanese Whalers. I hope you will do the same. We wish everyone on board a safe and successful journey. As my life evolves along new pathways, perhaps one day I might have an opportunity to join the Sea Shepherd. (1) Background information on who actually formed Greenpeace or who actually sailed on any given trip is conflicting at best. Whether it was Paul or others make little difference as it is the outcome achieved, being that of forcing a change in policy and practices by many businesses and governments, is what really count. The fact will always remain, that in the absence of environmentalists, unions or some other form of social activism there would be very little to prompt business or government to change practices that are deleterious to the environment. (3) When you place these events in the context of the world today (just over 10 years later), it strikes me as more than a bit hypocritical that the United States, England, France and other nuclear powers have taken such a strong stand against Iran and North Korea developing nuclear weapons. If every nation gave up their nuclear weapons the world would be a much safer place and it would be easier to bring discipline against those who defied world opinion. (4) As a reminder of the halcyon days of killer whale shows in Victoria, a statue of an Orca remains to greet visitors at the entrance to the Oak Bay Marina. Whatever might have been his reasons, Bob was always a good friend to the Oak Bay Police and over the years since my retirement in 1994, I have periodically stopped by his office at the Marina to say hello and spend a few minutes BSing about the past. A Green Peace 24 meter, high powered diesel boat, the Andy Gil was rammed and severely damaged yesterday by a Japanese Whaling Ship, the Shonan Maru 2. There are no reports of casualties but one crew member from the Andy Gil was injured. 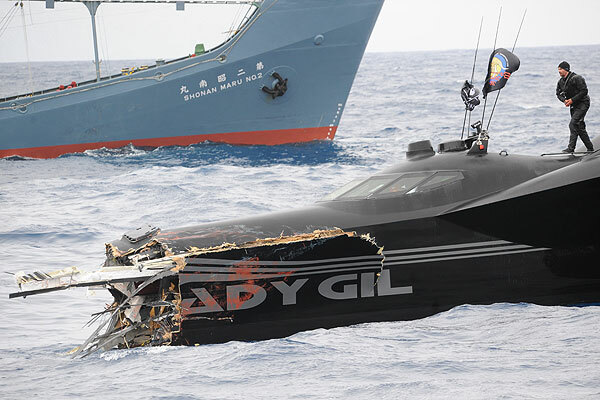 The Andy Gil remained afloat after the collision and salvage attempts are being made. The collision occurred just off the coast of Antarctica near Commonwealth Bay. The circumstances leading to the collision are unclear but the Andy Gil and companion ship (b) were on a mission to Antarctic waters to harass Japanese Whaling ships. The Japanese continue to hunt whales under the guise of ‘whale research’. Over the coming summer, whalers expect to kill 1000 whales for research purposes. The permit also allows the “research” vessels to sell those parts of the whales not used for research. Japan is one of the few remaining countries to allow whaling have not signed the International Convention on Whaling. Both Green Peace and the Japanese Whaling Association are accusing the other as being responsible for the collision. I wonder if the Whaling Association and the Japanese government have ever given consideration as to why these confrontations with their ships every year are taking place? This will certainly further ‘heat’ things up in the Antarctic waters. (a) The Andy Gil is a 24 meter, carbon-fibre, racing boat capable of tavelling at over 50 knots. It was recently purchased for 1.6 million by Green Peace. In a forme life it was a racing boat named the ‘Earthrace’ which set an around the world record of 60 days, 23 hours and 49 minutes. The record bested the old record by over two weeks. (b) The Green Peace companion boat, the ‘Bob Barker’, was named after the game show host who donated the money for the purchase of the two boats. (c) Lead photo from the National Post. Other photos from Green Peace and personal files. A Victorian who spent years traveling between this city and the Solomon Islands and known internationally “as a dolphin slave-trader for his lucrative business of capturing dolphins in the Solomon Islands and selling them to aquariums in such locations as Dubai and Mexico says he has had a change of heart…” Chris Porter’s moniker is the “Darth Vader of Dolphins”. It was a lucrative business as each dolphin could sell for up to $140,000. Porter was the marine mammal trainer at Sealand who trained Tilikum, one of the three whales responsible for the death of Keltie Byrne. 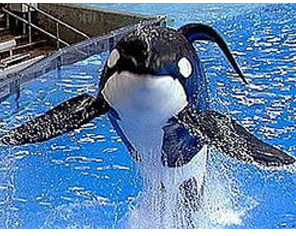 After being sold to SeaWorld in Orland Florida Tilikum again made news after killing a person in the whale pool. This is the third such death to which Tilikum has been connected. Porter’s activities in capturing and selling dolphins along with the death of three persons connected to Tillikum along with the Japanese slaughter of dolphins all served as catalysts that lead to the making of the Oscar-winning documentary “The Cove”, as well as earlier hit movies such as “Free Willie”. While it is reported Porter has had a change of heart, it seems more likely that now having made enough money to live comfortably, he has simply retired from the business. He also said he plans to release back into the wild 17 bottlenose dolphins that he currently holds in captivity. Hey, what can I say, just a caring guy. Juggernaut Pictures. I have not watched the video, but the trailer looks good. A great read! What a complete picture you provide. Really saddens me how protest movements, or environmental groups in general are so stigmatized. But I do think Sea Shepherd has changed that – I’m sure being televised on Discovery Channel hasn’t hurt! 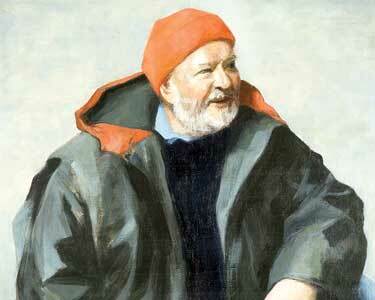 I loved the history of Paul Watson, didn’t realize he started off in the coast guard! Thank you so much for introducing yourself to me at Starbucks!